Christmas decorations await positioning at the Mall at Millenia in Orlando, Florida. 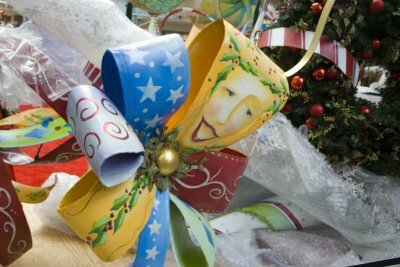 The mall, which is one of the highest end malls in the state, pulls out all the stops to decorate for the holidays. Macy's, Bloomingdales, and others help usher in the season with elaborate holiday decorations of their own. 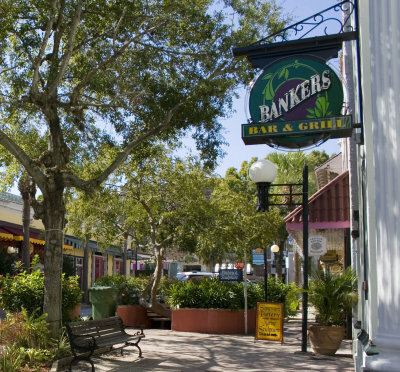 Along the walk in Cocoa Village. 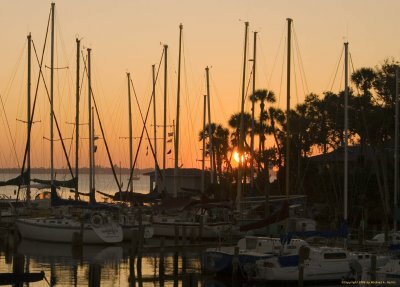 Cocoa Village is a historic area located between Cocoa/Rockledge and Merritt Island (on the Cocoa/Rockledge side of the causeway). 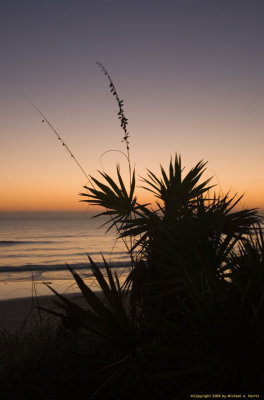 Palm fronds in silhouette just before sunrise at the beach in Melbourne, Florida. 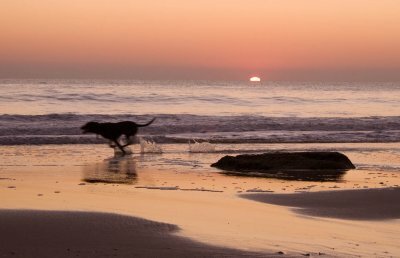 A dog, playing on the beach, runs by as the sun starts to come over the horizon. 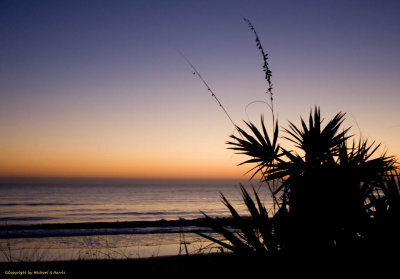 Palm fronds are silhouetted against the morning sky along the beach in Melbourne, Florida. Mid-Autumn sunrise over the Indian River Lagoon in north Melbourne, Florida. On the far side is the southern end of Merritt Island which runs all the way north to the Kennedy Space Center. 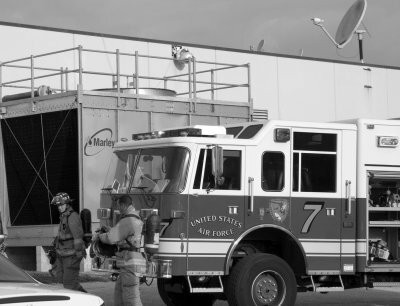 Firefighters from the 45th Space Wing Emergency Response Force respond to an alarm at the base exchange. The alarm was tripped by low water pressure in the building's sprinkler system - no fire was found. 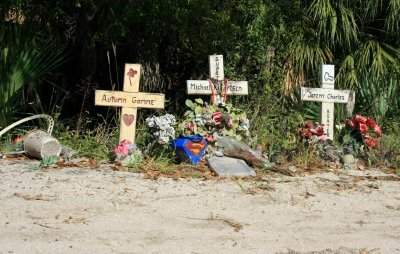 Long abandoned roadside markers denote the section of the Sarno Extension that the three young people, including two teens, were killed when the car they were in crashed into a canal. Autumn Gomme, 15, Jeremy Charles, 21, and Michael Reinertsen, 16, were killed. Wreckless driving on a poorly maintained road were to blame. 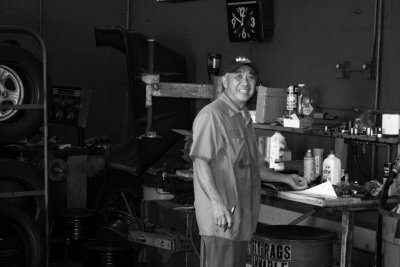 The "Sarno Extension" is actually a three+ mile long dirt road that runs from the Interstate 95/Eau Gallie Blvd interchange, west towards Lake Washington. The area is popular with four wheelers, motorcyclists and air-boaters and the twin lakes (one of which feeds the canal the above three perished in) is used by the Brevard County Sheriff's Office dive team for practices. A good friend, Narin, takes a moment to say cheese to the camera. 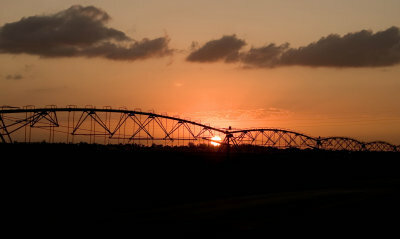 Sunset over a farm in Homestead, Florida. 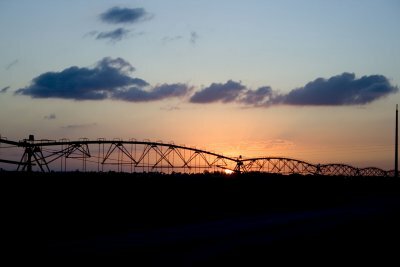 Taken near the Homestead-Miami Speedway in Homestead, Florida. The area is a patchwork of farms that are slowly disappearing in favor of condos and housing developments that are almost all nearly half empty. 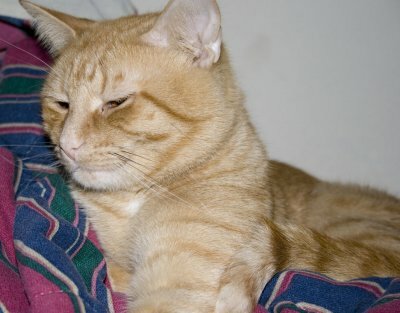 The tabby and prime instigator. Although he's quite small for his age, he's the one that causes the most trouble. He meows in his sleep too.